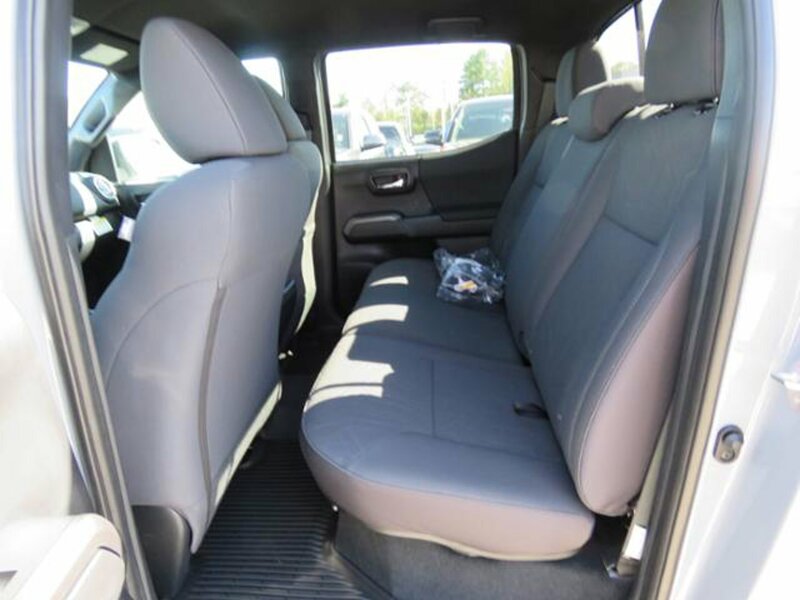 Description Up your game with our 2019 Toyota Tacoma TRD Sport Double Cab 4X4, that's bold in Cement! Powered by a proven 3.5 Liter V6 that offers 278hp while matched to a 6 Speed Automatic transmission for easy towing or passing. You'll love how you feel behind the wheel of this Four Wheel Drive with brisk acceleration, the power to tow/haul, and near 24mpg on the open road. The ideal size, our Tacoma TRD Sport looks tough-as-nails with its muscular fenders, LED daytime running lights, composite bed with a 120v power outlet, running boards, and distinct alloy wheels. The TRD Sport cabin is ready for action with push-button start, a multi-information display, power windows/locks, a power sliding rear window, and an integrated backup camera. Staying connected is a breeze with Entune Premium Audio with integrated Navigation and App suite, a prominent media display, Bluetooth, impressive audio and Qi-compatible wireless smartphone charging. Drive confidently as our Toyota Tacoma delivers the toughness you expect with high strength steel construction and advanced safety features such as a tire pressure monitoring system, vehicle stability control, and smart stop technology. Reward yourself with this ideal blend of power, capability, and style. Print this page and call us Now... We Know You Will Enjoy Your Test Drive Towards Ownership! Call or text 931-881-7079 for more information.